One of eniGma"s favourite items, this black synthetic leather clutch from Nana"s collection is a great addition to any wardrobe. 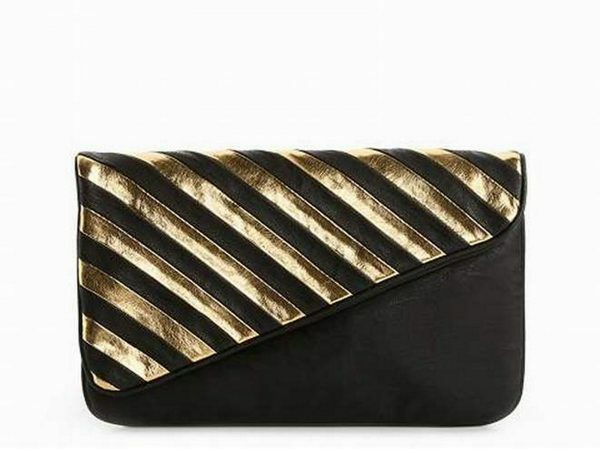 Delicately embellished with striking gold stripes, this clutch is an interpretation of rustic cool. 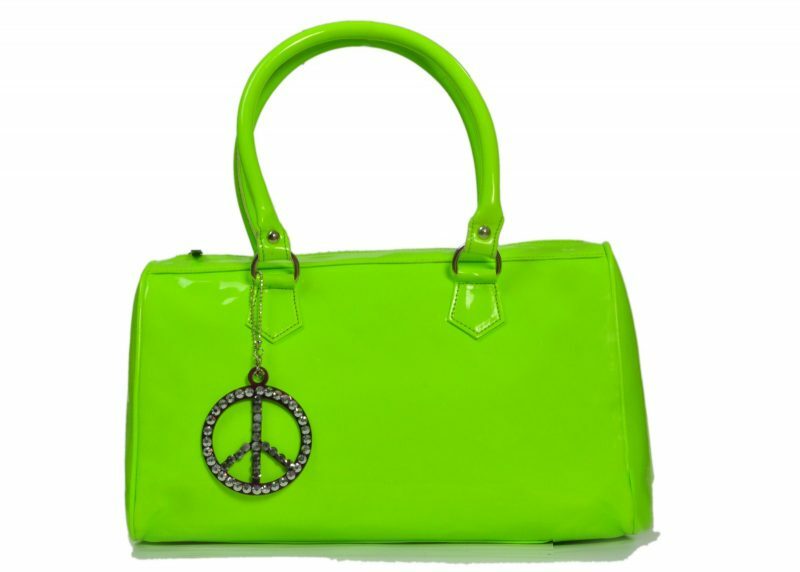 Wear it with a fitted blazer and a sequenced skirt for a futuristic finish. 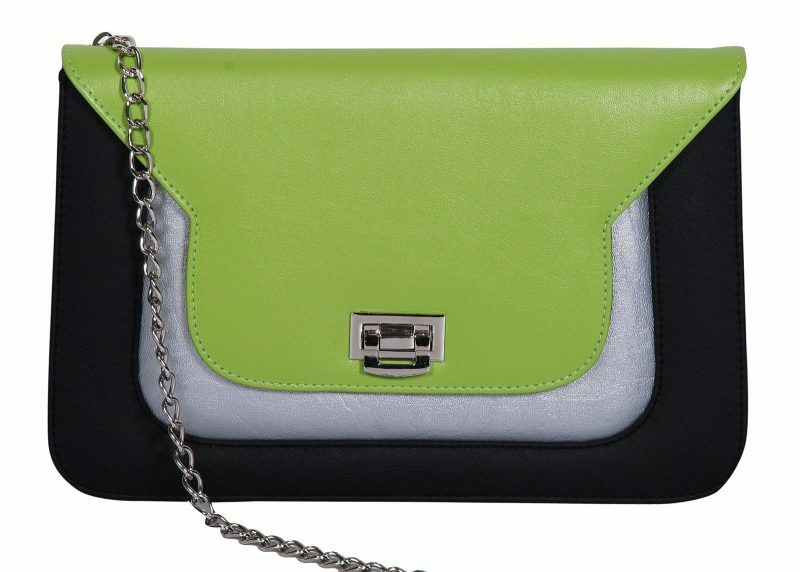 Black clutches are every girl"s ‰غ¢_جسmust-have" and this pick by Nana"s Bags is everything you can ask for. 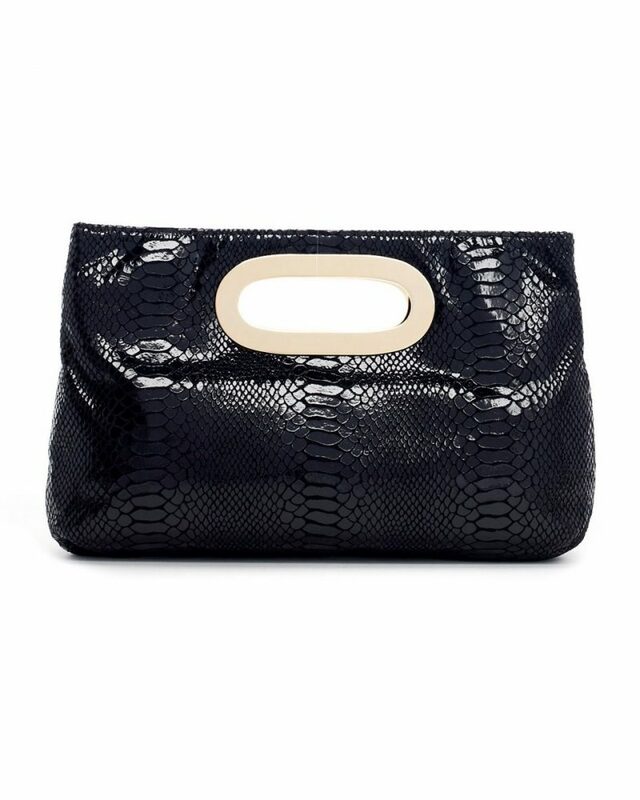 This super sleek clutch will add a sophisticated touch to your evening looks. Pair with golden accessories for a cool contrast. Add class to any outfit with this elegant item. 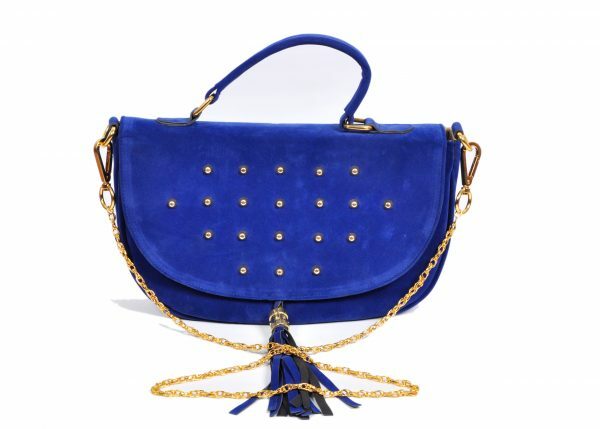 The golden chains and studs down the front of this bag complement its royal blue colour perfectly. Flaunt this sophisticated and trendy piece with jeans and heels for a bold new look. 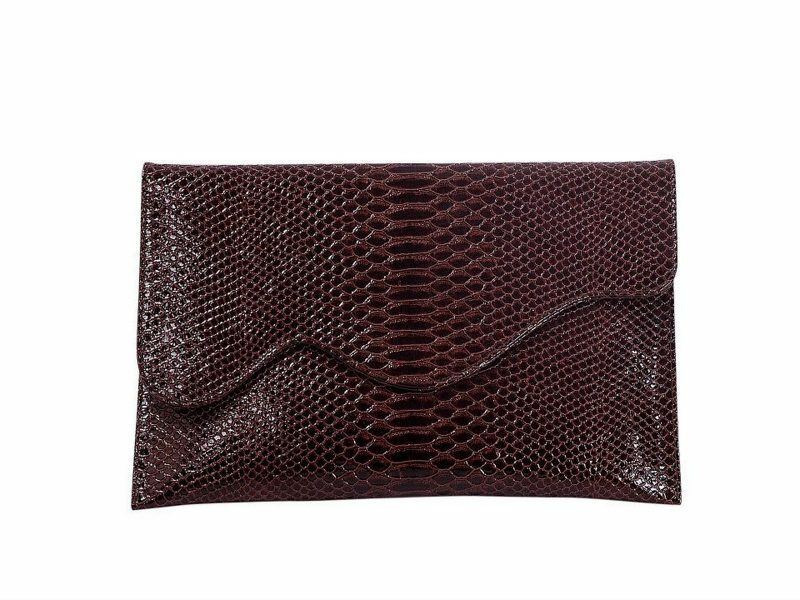 Add a striking hue to your evening wear with this brown clutch. Inspired by the conventional pouch, this intricately detailed piece will brighten up your little black dresses. Carry with neutral accessories to make your statement piece pop. 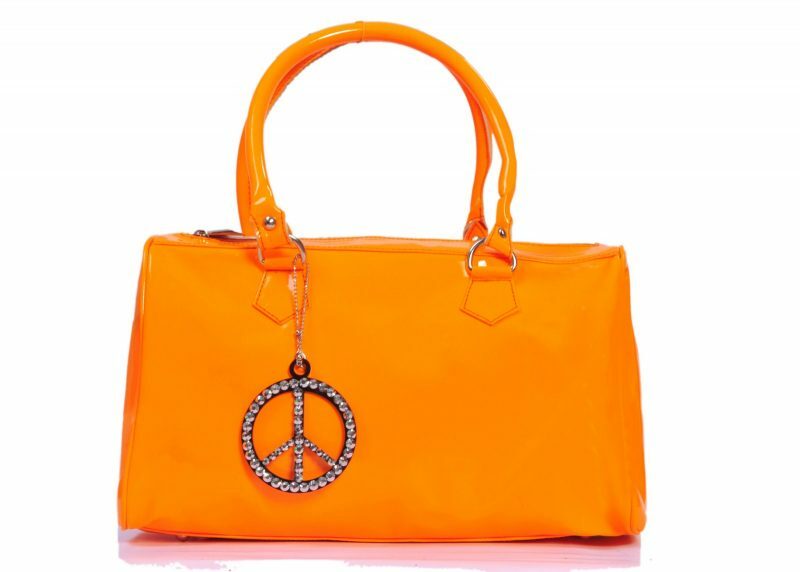 With its striking colors, this bag will liven up any outfit. 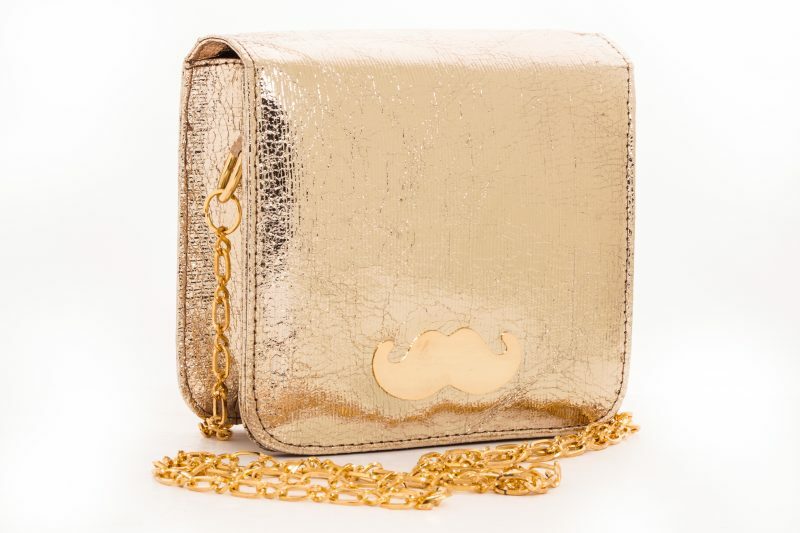 The golden chain and mustache give it a very trendy feel. Paired with skinny jeans and a plain top, this item will definitely add a lot of fun to your outfit. 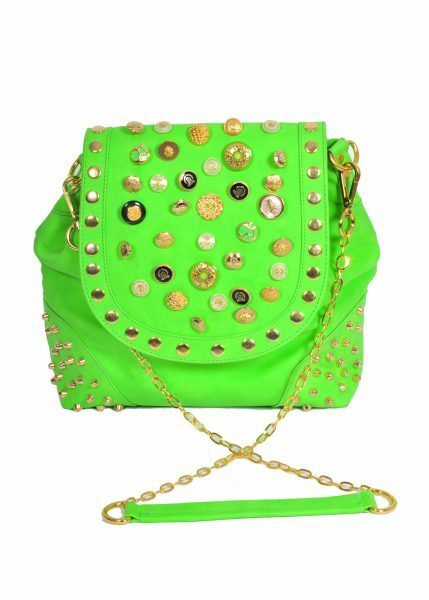 The fluorescent green colour isn't the only striking detail on this item; the different studs adorning its center also give it flare. 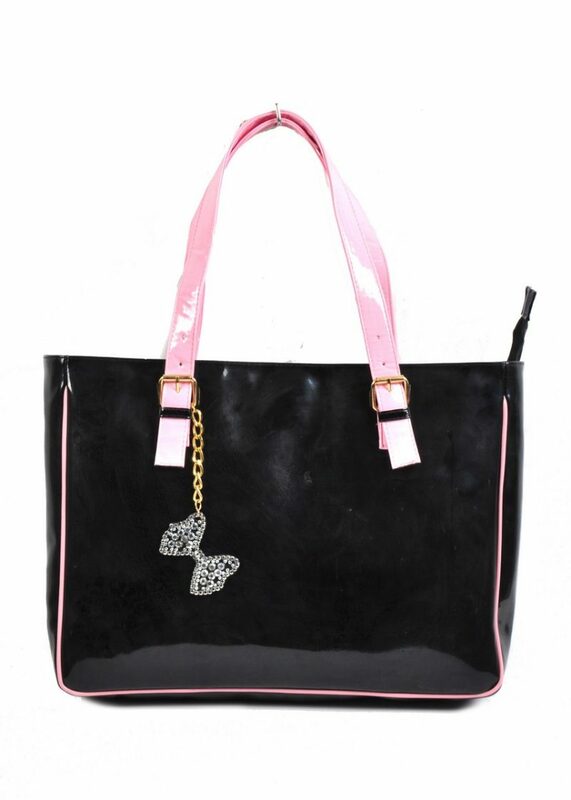 Add this bag to any simple outfit to give yourself a bold look. 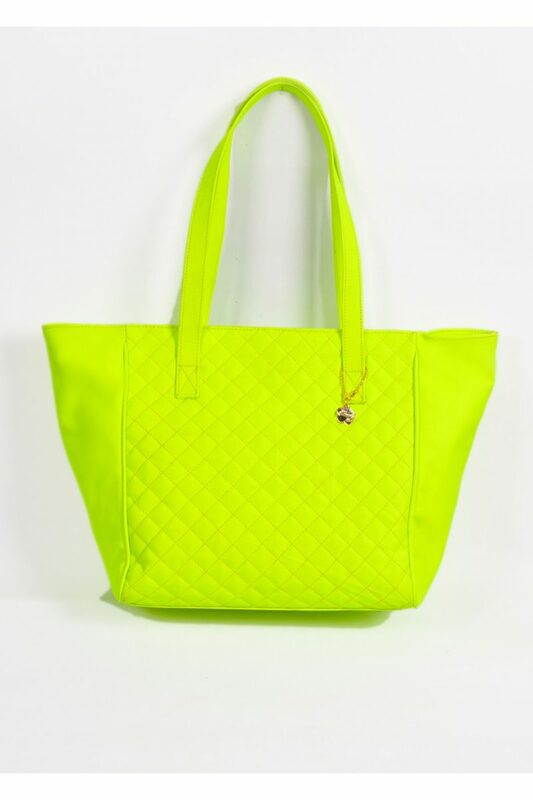 Add a fresh addition to your wardrobe with this bag from Nana"s collection. 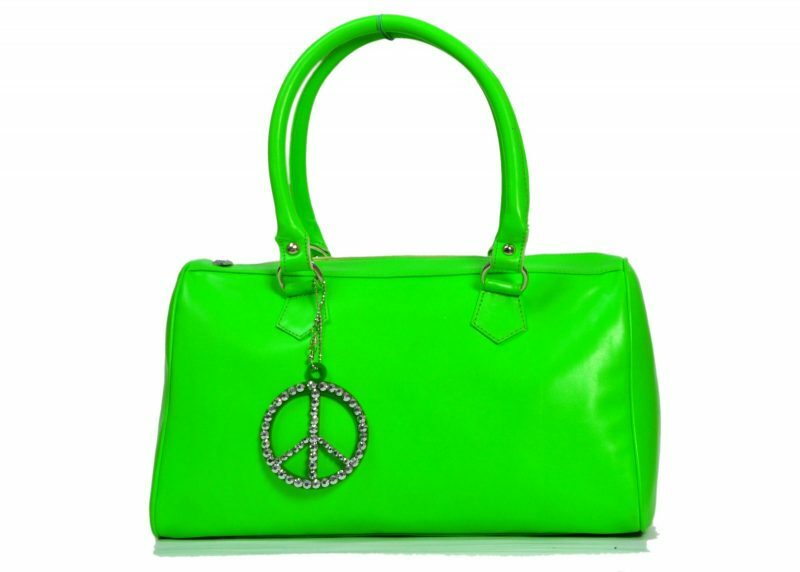 Made from synthetic leather with a funky metallic chain, this bag can be your go-to pick for any event. Dress it up with matching heels and a black dress or dress it down with jeans and a comfortable sweater. 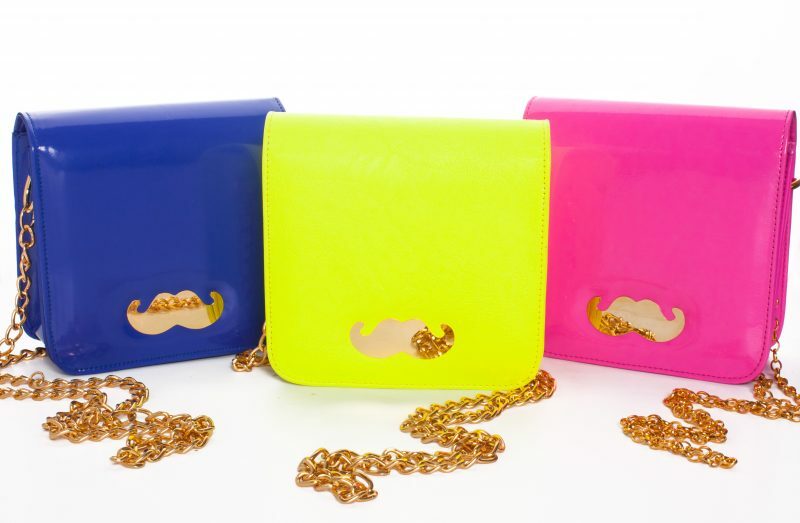 A spring favourite is the electrifying coloured candy bag, ideal for carrying your everyday essentials. 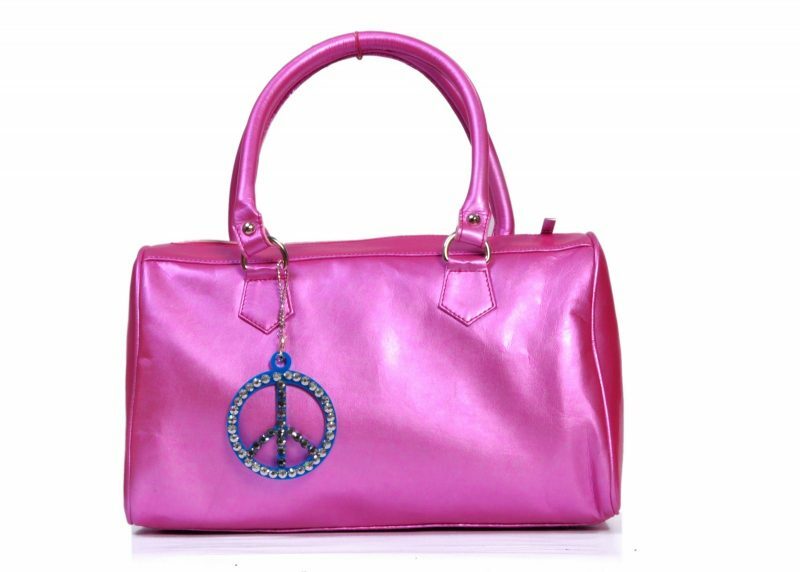 Show off the trendy peace charm that adds a touch of hippie style. 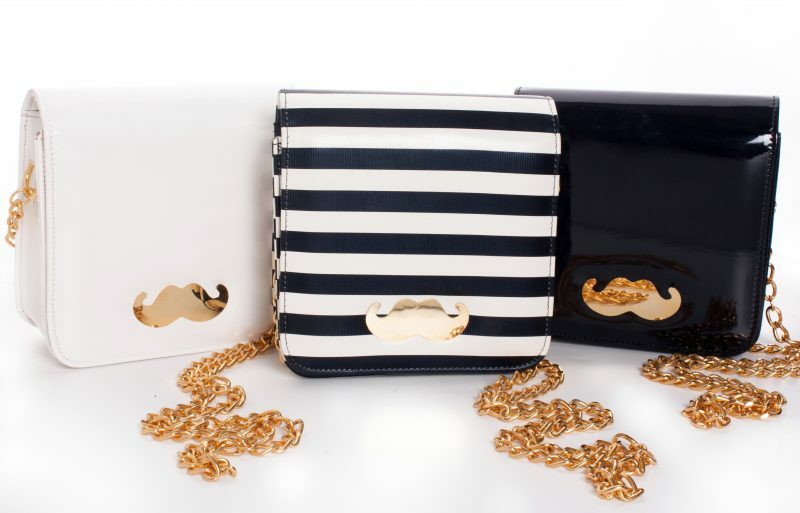 Simple and feminine, the golden chain and mustache are striking against the black and white background. 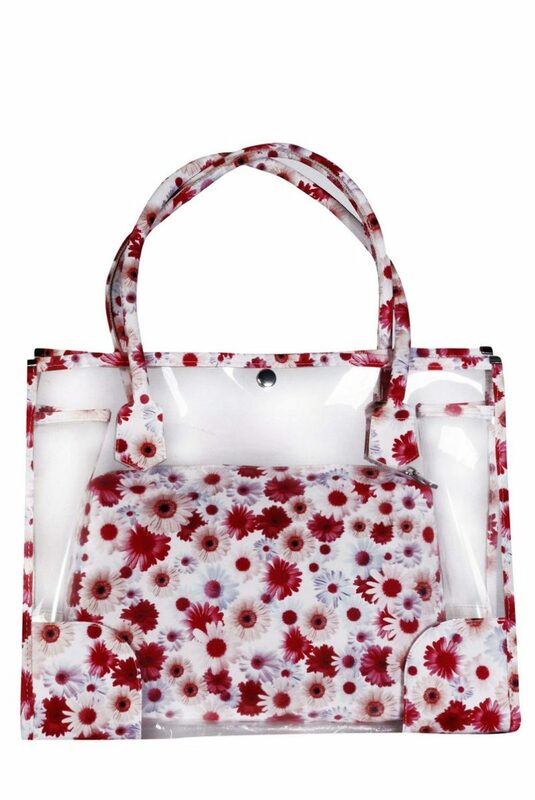 Add this bag to a short black dress, and heels and you've got yourself the perfect dinner date outfit.